I don’t know how you feel about your job at the moment. For many of us, we’ve experienced a whole host of emotions when it comes to our work. Sometimes we love it, sometimes we just don’t - sometimes we just can’t be bothered (obviously not me, I’m paid to be a pastor and I’m always ‘on it’!! ), or the very thought of getting out of bed when the alarm goes off to do another day in the office is too much! Our soul goes through a whole range of emotions when it comes to work. One day we love it, the next we don’t! Well, we love it because that’s how God designed us. To love our work. In Genesis 2, God created man and put him into the garden to work it. So the desire to work, the feel good factor after a satisfying day at work, is of God. But sometimes, we don’t love it at all. It’s hard, it’s draining, it’s inconvenient, it doesn’t pay enough and there’s a million things we could do with our lives if we didn’t have to head out to work! Well, back in the Garden of Eden, Genesis 3 tells us that when Adam and Eve sinned, work was cursed, meaning now rather than being something that was always fruitful, always worthwhile, and always joy giving, it involved sweat, blood and sometimes tears! Work had lost its joy. But thanks be to God – Jesus came and redeemed the curse! In other words, He turned the curse around. This means that work, like anything, can be done to the glory of God (1 Corinthians 10:31). It is possible, because of Jesus, who lives in us and through us by the power of the Holy Spirit, to work to the glory of God, and for our good. 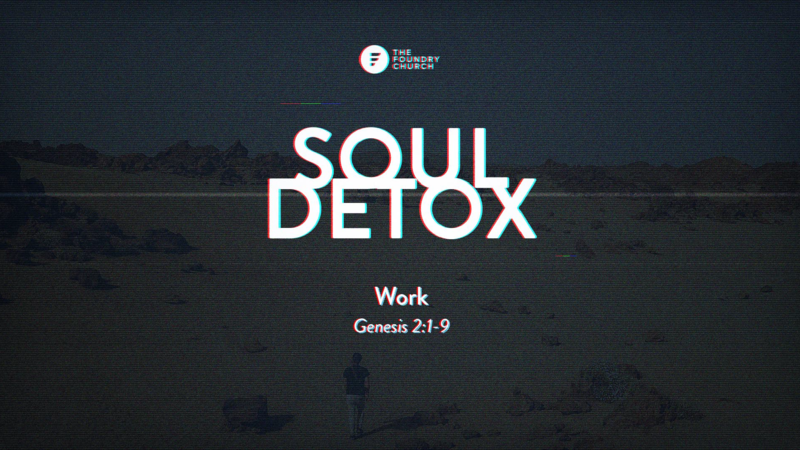 God is glorified when we work hard, see the bigger kingdom picture, take His presence with us wherever we work, and, perhaps one of the biggest difficulties, actually switch off, unplug and put down our tools once a week to rest and refocus. Try it - it will do your soul much good. How can I glorify God in my job on Monday morning? How can I take Jesus to work with me? What might that look like in my current job? What do I think about switching off? When was the last time I really did and how did it make me feel?